This Saturday some of my fusepo, (stitched fused plastic) and painted paper collages go on display at a local gallery. The exhibitions at the gallery are themed and this one is called: COLOUR AND CONTEMPLATE. 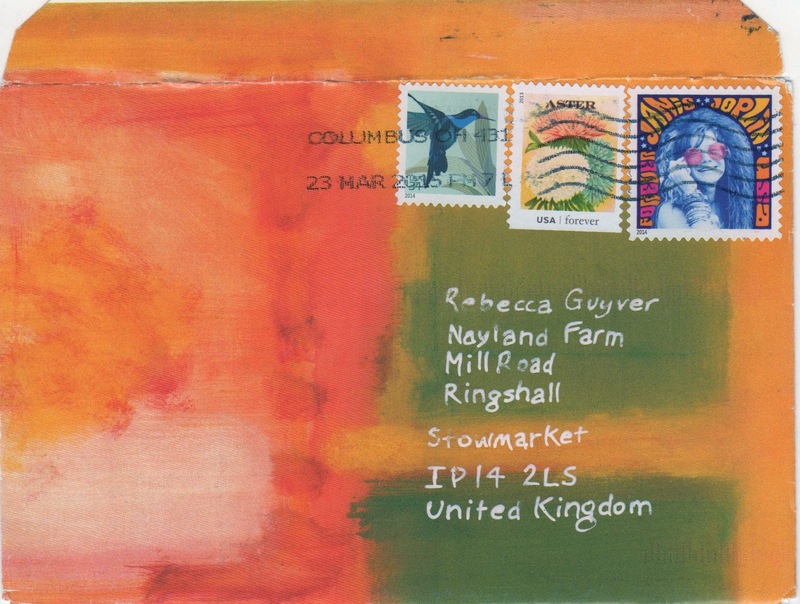 I bring this up, not for shameless self-promotion, but because this envelope from Phillip Lerche is colourful collection of mail art that would fit right in with the theme! 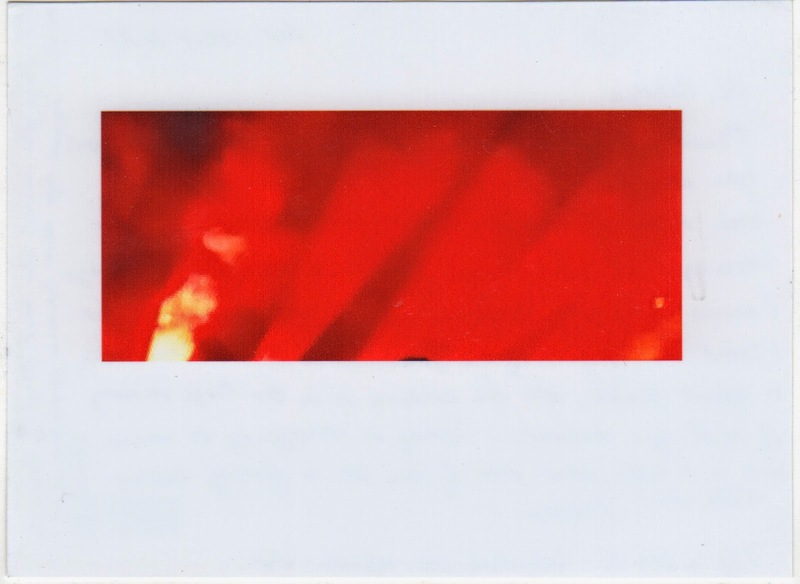 #27 is the horizontal red light print. The top image is a digitally altered collage that Phillip made. (I am not sure which way is up, but it looks great from all angles).Tthe banana stamp is a consolation prize. I usually take part in banana mailings but this time I wasn't informed, so missed out. Big hearted Phillip is trying to make me feel better! Philllip has also included some kind words, which I always appreciate! Thank you. Thanks for blogging my envelope & contents. 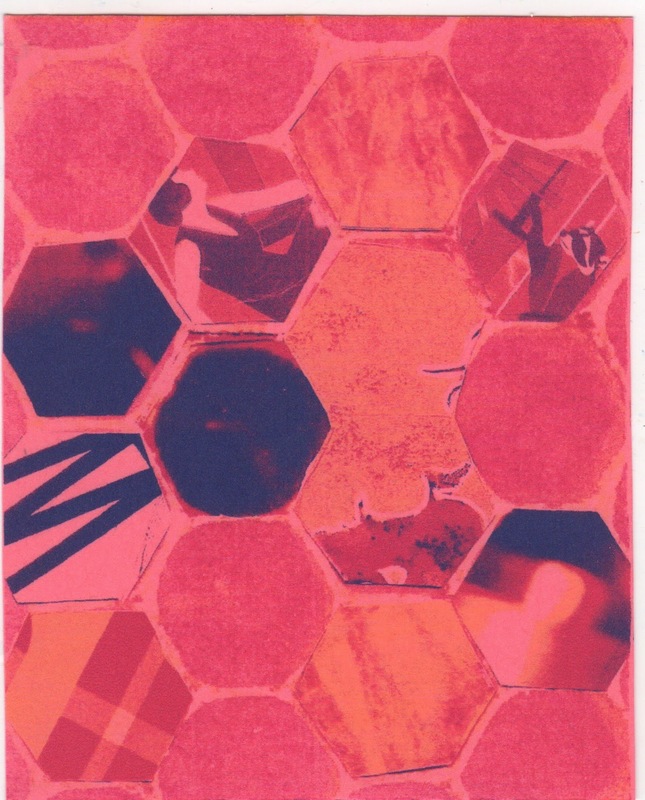 You are correct, there is no right way up for the hexagons. Glad it all made it, as I noticed a wee bit of the address has rubbed off. The Doodle carousel comes around again! 2 pieces from Marie Wintzer's new series! Lettuce sing fluxliciously, with Jude Weirmeir!